Auto-sound competition organizations dBDRA (dB Drag Racing Association), MECA (Mobile Electronics Competition Association) and IASCA (International Autosound Challenge Association) are once again joining forces to produce the Car Audio Championship. The event will be held at the Kentucky Exposition Center during the weekend of October 13-14, 2018. 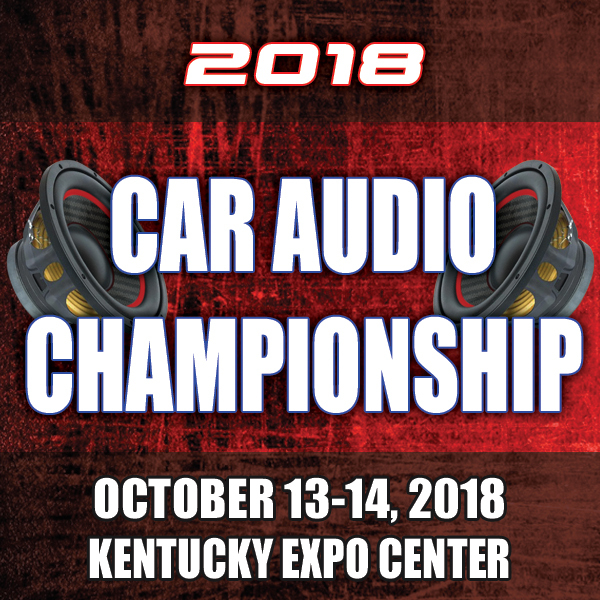 This year's event will be the 5th consecutive Car Audio Championship produced by the three organizations. Competitors from all over North America will be participating in the event. Auto sound vendors will also be showcasing their products and demo vehicles at the show. For more information on the event please contact one of the organization representatives.